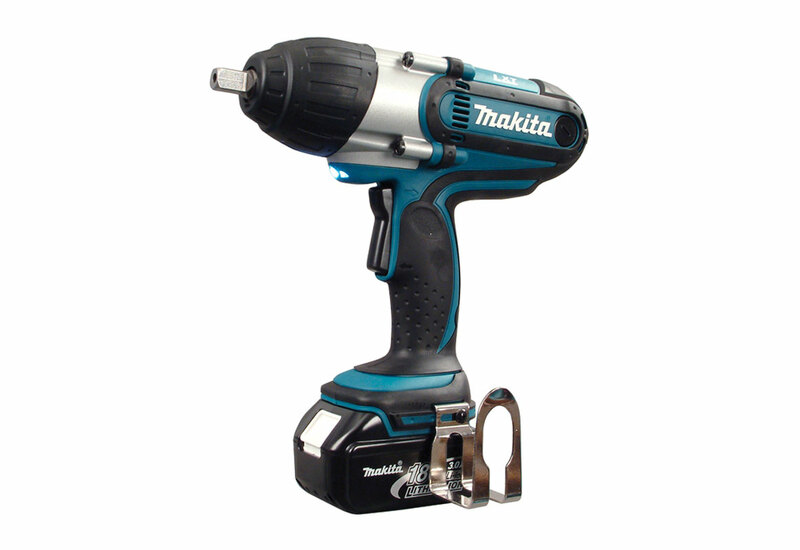 The Makita Cordless Impact Wrench (DTW450F) from the Tool PLUS Series is compact and lightweight, but maintains high maximum fastening torque. 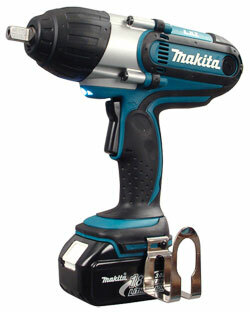 With this wrench, you can use the same fastening torque in forward and reverse rotation. The wrench's RUBBER joint construction reduces transmission of vibration to the battery, which minimizes battery failures due to terminal breakage or poor electrical contact. It has a RUBBER bumper that protects material from damage and an easy-to-operate ON/OFF rocker switch. There is a 1-3/4" wide hook that allows you to hang the tool on rafters, pipes, etc. when you're not immediately using the tool. The wrench has an independent ON/OFF switch. It also has an ergonomic soft RUBBER grip that absorbs vibration and operates comfortably.